Is ranked joint 282nd with 12 other trigs (more). Trip to Skerries with the family. My Dad and I went for a walk out to Mioness, but he didn't try crossing over. Took a bit of finding as this bolt is so small. 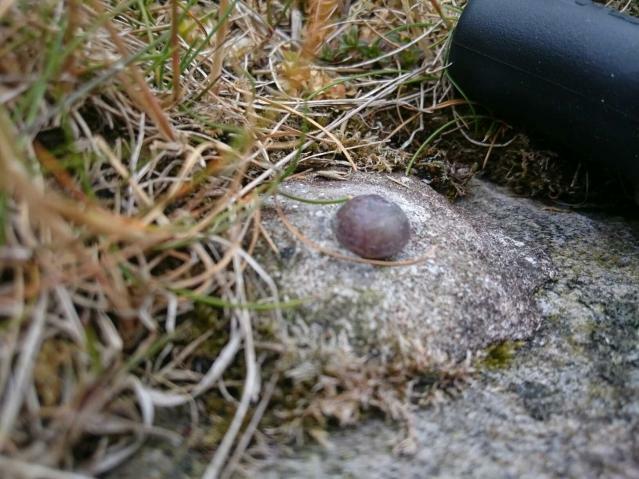 Climbed down to explore both Geos before climbing back up to bag this interesting TuMP and OS bolt with Tricky Speirs. 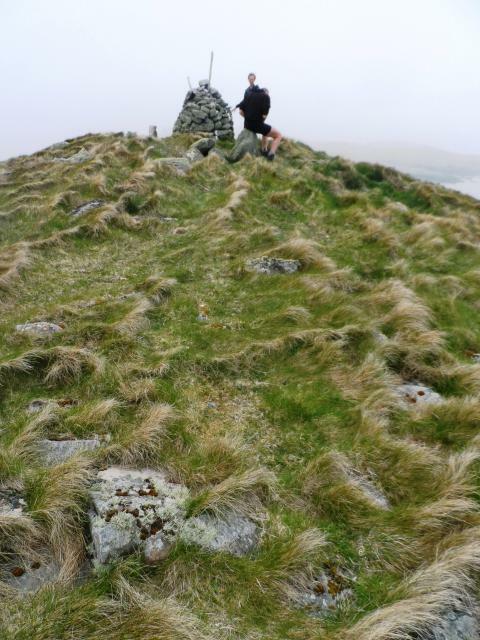 On faint ridgeline path 11m SSW of large summit cairn. Superb location. 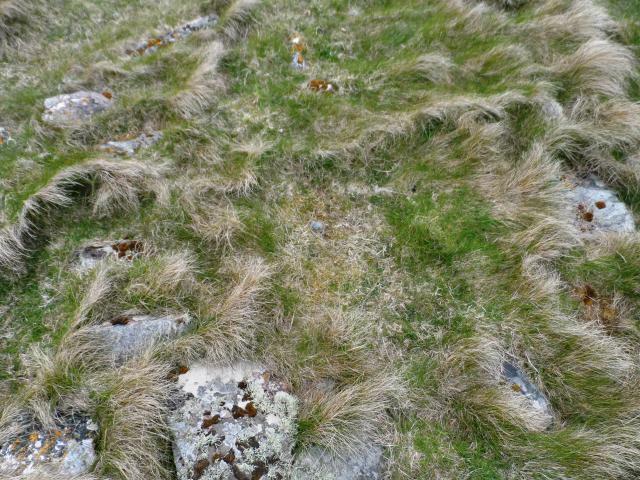 As ed says, crossing the neck would be dodgy if rock is wet, but just a slightly exposed scramble in the dry. Rope useful on E side of gap. I'm told there's one on W side but off the obvious route and not v useful. I caught the morning ferry from Vidlin which landed me on Bruray just after 11:20am. I walked off the ferry and headed straight off along the road and over to Housay. 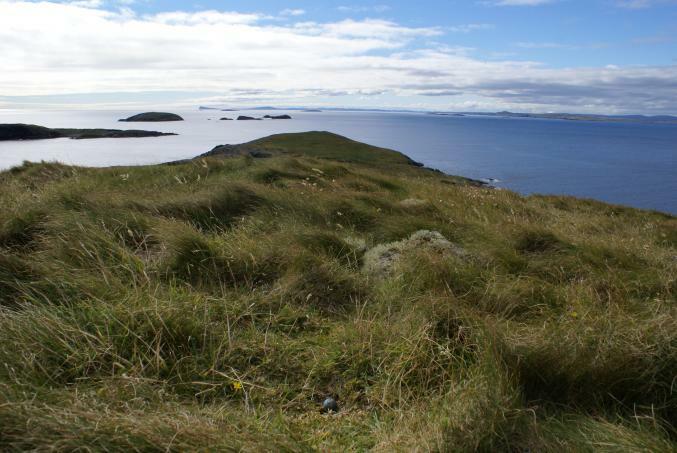 I left the road at the kirk and across grassland (with a few wet bits) towards Mio Ness. 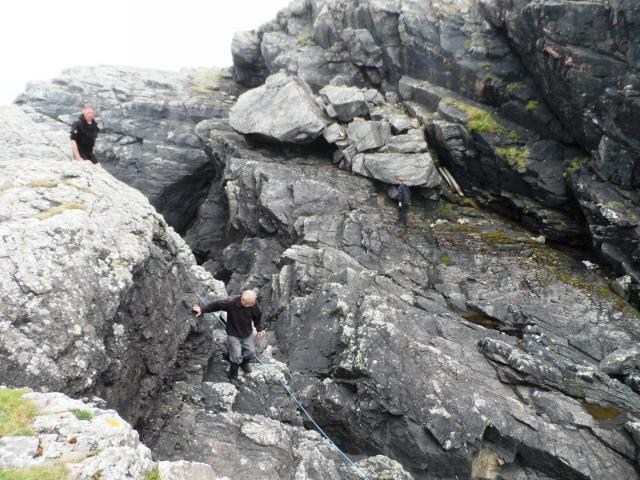 Getting on to Mio Ness by traversing The Steig (a collapsed sea-cave at the Trolli Geo) requires VERY sure footing and nerves of steel (don't even attempt it if the rocks have been recently rained on)! Someone has helpfully provided a rope up part of the north side which assists the return journey slightly. 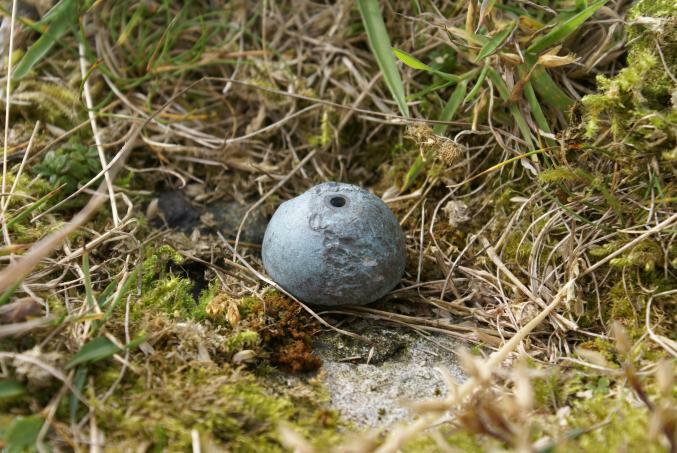 Once on top of the Ward of Mioness, the bolt is quite inconspicuous and not on an obvious rock, however it is there about 11 metres SW of the nearby cairn. 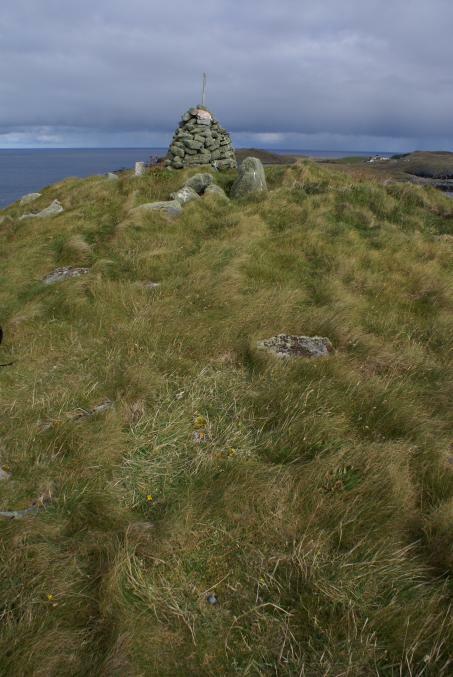 The cairn marks the spot of original triangulation observations in the 19th century - it is listed as an 'Old Trig' in the OS database. Excellent views all round. A very memorable place!